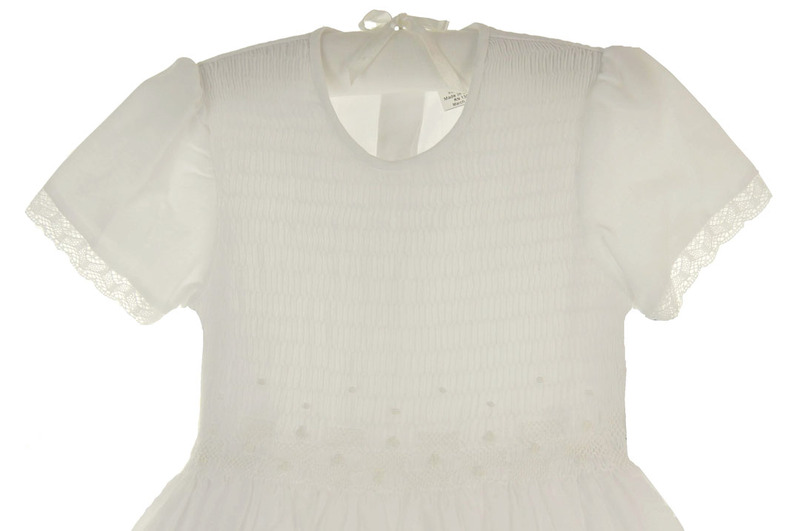 This lovely white cotton blend voile dress is made by Will'Beth, a leading manufacturer of beautifully detailed children's clothing. 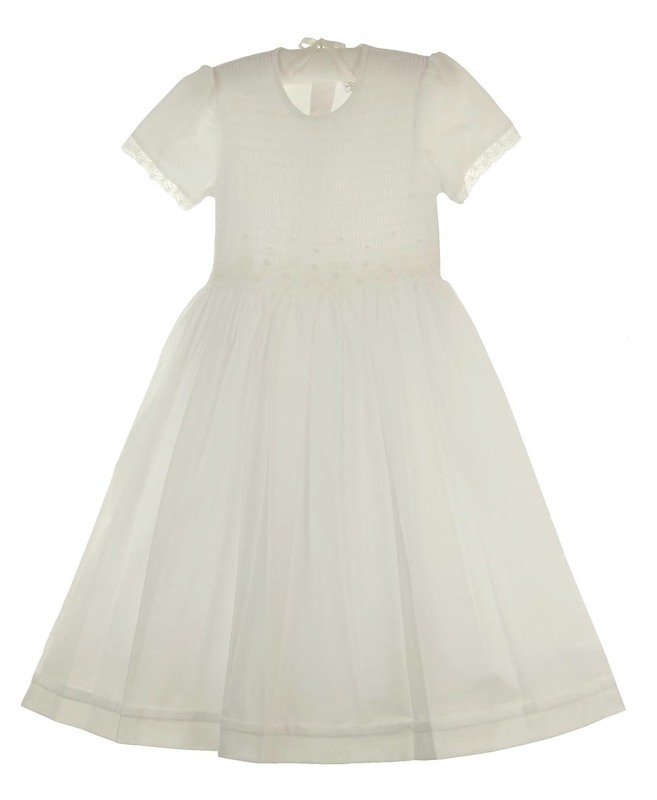 It features a fully smocked bodice with embroidered flowers at the waist. It has a simple round neckline and short sleeves edged with cluny lace. 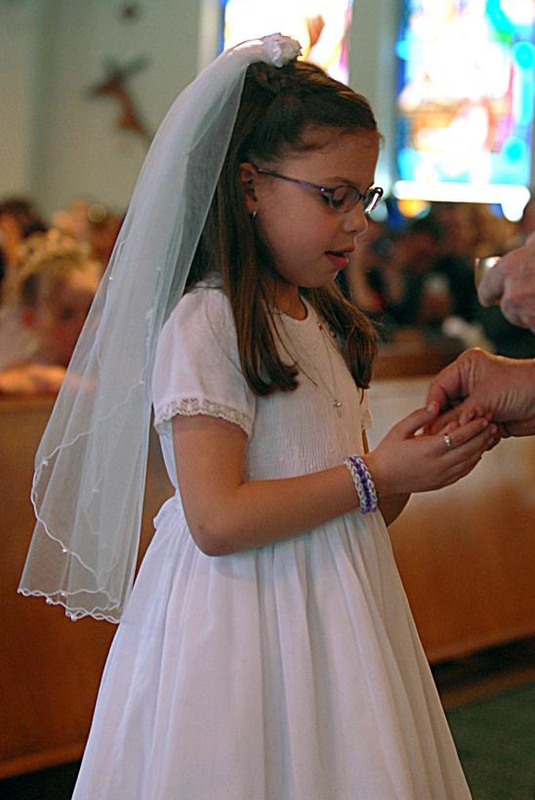 The full skirt has one pintuck above the 2" hem. 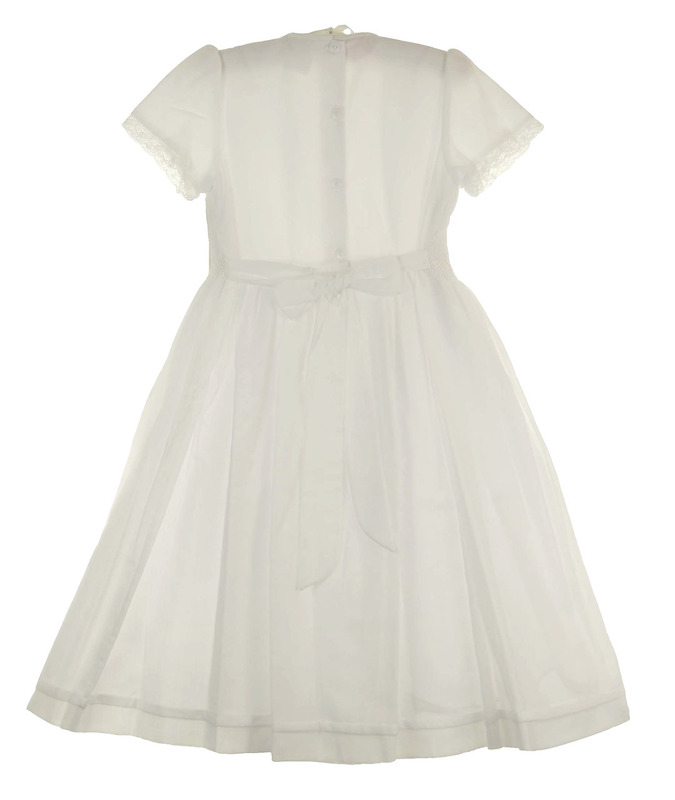 This lovely dress is fully lined so no slip is needed. 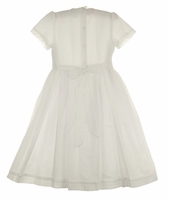 A back buttoned closure with a sash to tie in a bow complete this sweet and simple dress.